Call us today for options of addiction treatment in Iowa. If you or a loved one is living with a substance use disorder in Iowa, you aren’t alone. We can discuss Iowa drug rehabs and other addiction treatment services that may help you start on the road to recovery. 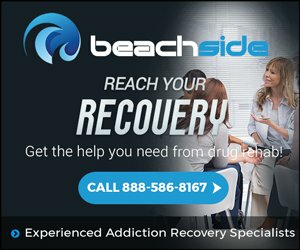 Call our addiction specialists at (888)959-9381 to learn more. Illicit drug use is not uncommon in Iowa. From 2013 to 2014, 2.2 percent of the state’s population was dependent on or abused an illicit drug. In 2014 and 2015, an estimated 3,000 people in Iowa used heroin. About 27,000 used cocaine during that time frame. Among the 18-to-25 age bracket, approximately 3.6 percent of Iowans tried cocaine in 2014. Each year, there are many people in Iowa who need treatment for a substance use disorder but do not receive it. For example, in an average year, 1.9 percent of people in the Des Moines area are living with an untreated substance use disorder. In fact, in the state as a whole, only about 13.2 percent of the people who deal with substance use disorders for illicit drugs receive treatment. The other 86.8 percent go untreated. Don’t let your substance use disorder go untreated. The use of illicit drugs is more prevalent in the eastern half of Iowa than on the western side. From 2008 to 2010, up to 6.1 percent of the population used illicit drugs each month. 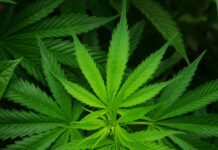 The figure was lower in western Iowa with up 4.9 percent of the residents using drugs in a month. Cocaine use is most common in central Iowa. This is primarily concentrated in Des Moines and the surrounding area. Illicit use of pain relievers is common in the Des Moines area, but that’s not the only area of the state that deals with this issue. Instances of non-medical use of pain relievers are elevated in the north-central and southwest areas of Iowa as well. These include cities such as Garner, Mason City, Glenwood and Council Bluffs. Alcohol dependence and abuse see the highest rates in the northeast and north-central parts of the state. For example, in Dubuque and the surrounding area, as much as 9 percent of the population is dependent on alcohol or abuses it. No matter what part of Iowa you live in, if you are living with a substance use disorder, it’s time to get help. Reach out to our addiction specialists at (888)959-9381 to find out how Iowa drug detox and rehab can make a difference for you. If you are looking for help for your substance use disorder, you may be ready to commit to the process of residential treatment. Iowa inpatient drug rehab is designed for you to live at a treatment facility while you learn to break the pattern of addiction in your life. Inpatient facilities can often see you through both detox and the therapy regimen that follows. The staff will be with you throughout your withdrawal period. They can monitor your well-being and may also be able to provide pharmaceutical support. Drug use changes the way your brain works, so inpatient treatment will equip you with new thought patterns to replace the ones shaped by drug use. 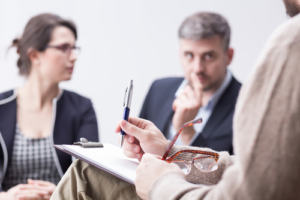 One-on-one behavioral therapy sessions with a professional counselor and group support meetings can be useful tools to help you begin to think and act in new ways. Inpatient Iowa alcohol rehab and Iowa drug rehab can be just a few weeks long or it can last for up to a year. Short stays are typically followed with outpatient treatment that builds upon the work done during your residential treatment. Our rehab specialists can help you decide what sort of treatment is best for you. To discuss the options, call our addiction specialists at (888)959-9381. Another option for substance use treatment is an outpatient program. You continue to live at home, but you check in regularly with a rehab facility. 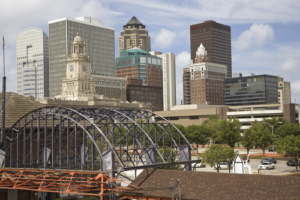 During Iowa outpatient addiction treatment programs, you may be able to continue going to work or school. Your therapy can be completed on an outpatient basis. Medicinal support is also available through outpatient programs. This treatment arrangement is best for people with a strong support system at home. It’s important to note that although you will not be living on-site, outpatient therapy still requires a major time investment, especially at the beginning of the program. There are many substance use disorder treatment programs in Iowa. We can help you narrow down the options and select the right rehab center for your needs. Going through rehab is a major accomplishment. When you are ready to transition back to your regular life, it’s important to do it in a way that will support the progress you made during rehab. A sober living home can help. This transitional housing arrangement is specifically designed to help you maintain a drug-free lifestyle as you adjust to once again living in the community. Rather than going immediately back to your regular surroundings, you can take up residence in a sober living home. In the home, you will be surrounded by a support system that will encourage you to stay drug-free. This can include staff and other residents. Rules and expectations for living in the home will provide you with helpful boundaries as you look for a job, get involved in your community and rebuild relationships with loved ones. Our addiction specialists understand the treatment process from beginning to end. We can walk you through the process so that you’ll know what to expect and whether you’re ready for rehab or a sober living home. Call our rehab specialists at (888)959-9381 to start the process of addiction treatment today.